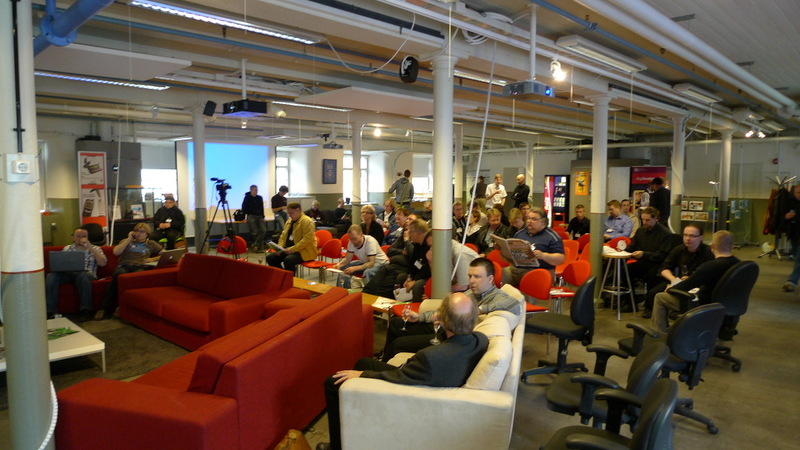 The main release party in Finland was held at Tampere, Finland and organized by Ixonos Plc and COSS. 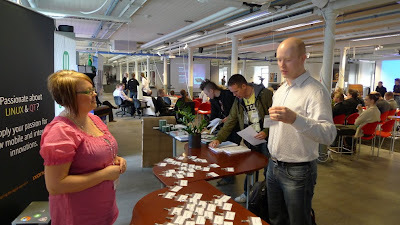 It was a great success, as proven by the almost 200 participants and great speakers. 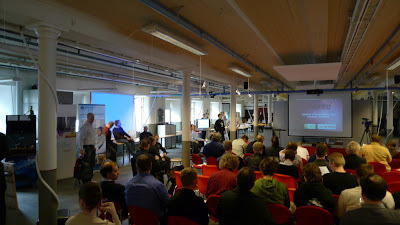 The first sessions were mostly about the basics of Ubuntu and its roots in Debian and elsewhere. Then Tuure Vartiainen from Tampere University of Technology shared with us the release from the official Finnish mirror perspective (fi.archive.ubuntu.com, fi.releases.ubuntu.com, ...). 10.04 LTS release date was very hectic and the transfer speeds were not constantly optimal, but quite good anyway. For 10.10 they hope to up the network connectivity to 10G. I also took the opportunity to thank him later personally for the Ubuntu Finnish Remix mirroring which was arranged right before the release as well. The next-to-final session was about Ubuntu for senior people with brief demoing of how Ubuntu UI can be customized. To give a little different perspective to usage of Ubuntu, the final speaker was a theater director and dramatist Jotaarkka Pennanen from Interactive Film Productions. Blender among else was praised. In addition to speakers, we had 300 Ubuntu Finnish Remix CD:s, Ubuntu posters, Free Software Foundation Europe flyers, COSS flyers et cetera. After the main program there was a dinner and some wine offered to participants, which was a great social ending to the event. Now a few photos follow. Unfortunately they are from before the event actually began, so others have probably more crowded photos and photos of the speakers themselves.